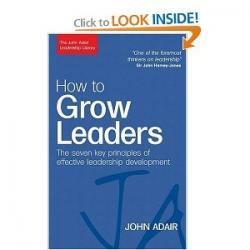 Are you interested in creating an employee leadership development guidebook for your organization? Implementing a formal system for identifying and training individuals with leadership potential can certainly be an important aspect of an effective succession plan for businesses of all sizes. Creating an employee development manual that focuses on leadership development is a great way to start preparing for the future. While your organization's leadership development guidebook should be specific to your company, there are a few elements every publication of this type should include. Having a clear understanding of where the organization is now as well as an understanding of future goals and expectations is important for anyone who is considering becoming a leader. In your leadership guidebook, be sure to include your organization's vision and mission statement along with an explanation of its implications for those who aspire to take on leadership roles within the business. Include a section that provides employees with an overview of the concept of leadership. This section should include an explanation of the difference between management and leadership as well as a clear definition of leadership that is appropriate in the context of the organization. Explain the importance of leadership, specify the organization's expectations of its leaders, and describe the traits and qualities necessary for success in a professional leadership role. The guidebook should include information about the types of promotional opportunities available to employees who have strong leadership skills. Include job descriptions of positions considered to be leadership roles as well as details about what people who are interested in stepping up to leadership should do in order to be considered for such opportunities when they become available. This includes providing information about what steps they should take to become prepared for these types of roles as well as how to formally express an interest in becoming a leader. Provide an overview of the types of training and mentoring opportunities recommended for people who want to be considered for leadership roles both internal and external. If your company has a formal management or leadership training program, provide information about it in the guidebook. List the curriculum and learning objectives and let employees know what they need to do in order to participate. If there is a formal application process to participate in the program, include the necessary documents in the guidebook. If any interested employees can participate, let them know how to find out when sessions are scheduled and how they can sign up. If your business does not have a formal internal leadership development curriculum, provide employees with information about external leadership training opportunities that may be available to them through professional organizations, online sources, and local training companies or schools. Include a list of recommended training topics and providers, as well as information about how employees can seek approval to attend sessions that may help them strengthen their leadership skills. Your company's employee leadership development guidebook should be easily accessible to employees who want to learn more about opportunities to prepare for leadership roles. The document can be distributed to interested employees in printed form or made available to them through the company's intranet. The fact that the company has a guidebook for leadership development should be stated in the employee manual so that each employee is aware of the publication. As appropriate, the document should be included as a tool in employee development plans.Additionally, managers who identify team members with leadership potential should encourage those employees to review the manual and begin participating in leadership development activities.